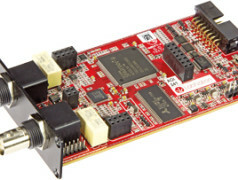 The SmartScope is not just an excellent USB oscilloscope with multiplatform support, it’s also great as an FPGA development board. 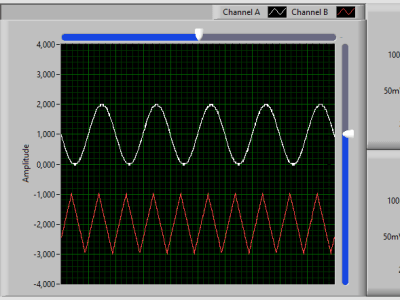 Add some pinheaders on the board and you’re good to go in combination with the user-friendly software especially written for this purpose. 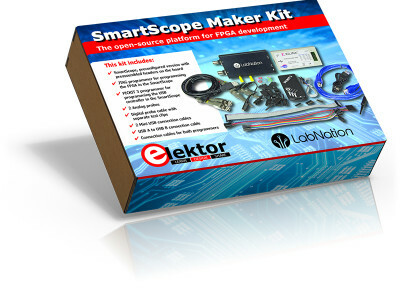 Elektor offers a special Maker kit with a preconfigured Smartscope, two programmers and the necessary cables. 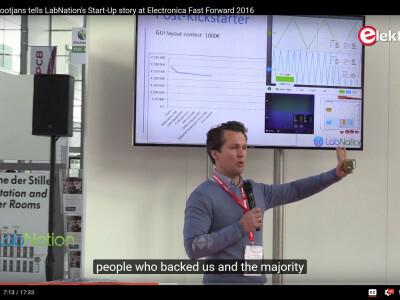 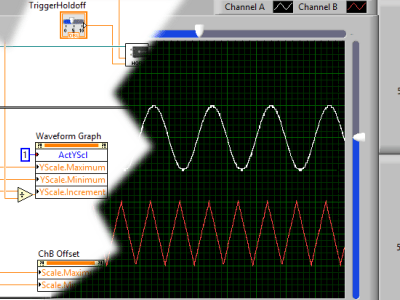 LabView allows engineers to make responsive GUIs in hours instead of weeks. 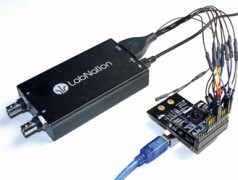 Signal acquisition and generation devices are available from National Instruments, but they come at a cost. 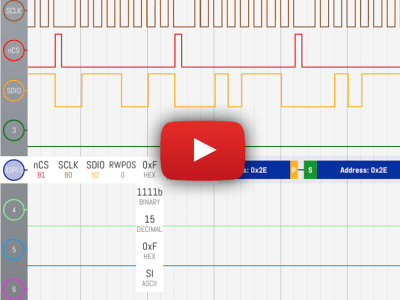 The SmartScope with its dual 100 MS/s digitizers and 4 MS of on-board RAM is an exciting alternative. 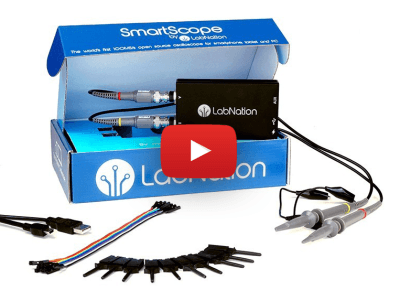 A set of VI blocks developed by LabNation allows you to configure and read out the SmartScope with ease.